You like to play in late age? Then join this game. It is a ranking game, you need an account on our League (it is free). Check Rules and join this game! Trades are binding, other than that unrestricted diplomacy. Other game settings are default by llama server. Contact me easy when i shall do anything. Will you be passing on the admin password to anyone else, or sticking around to change settings if needed? GG. Anyway, hope we find us again in games. yes, seem so, was very confused, beat me self…. think will be lost soon the world. Did you watch the full battle replay? You should be able to figure it out. Hi, Maybe, i have to learn About game. but how this work? You killed many with one scout who just make an Exit? Now 4 Thrones. Reload of Map is not necessary. Damn forgot one shall I restart game ? Only 3 thrones instead of 4? Might be hard for two of us to get that underwater one. Game will be started soon! Please create your pretender and send it to the Llama Server. Contact me, when you have Questions! Yes, you are welcome, join! Will be great to see you in some games here! 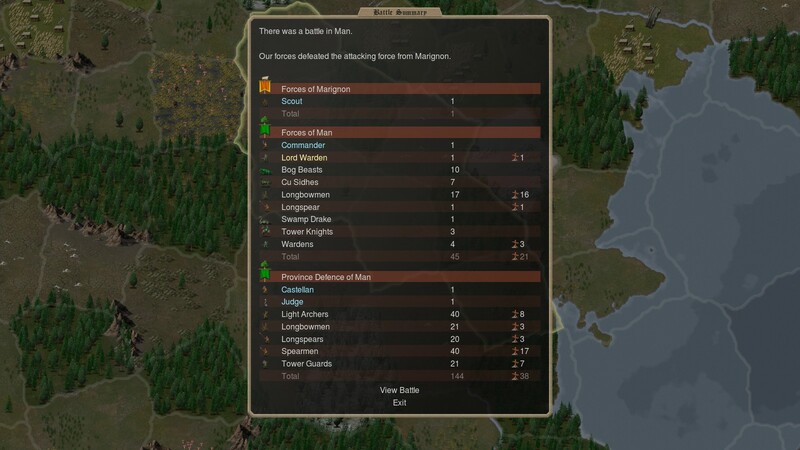 I´d like to give Dominions MP a try, i just played it in SP. If you want to have a noob like me in, i´ll try my best. Someone added Atlantis in Llamaserver. I guess we can get this one going if a fourth can be found.